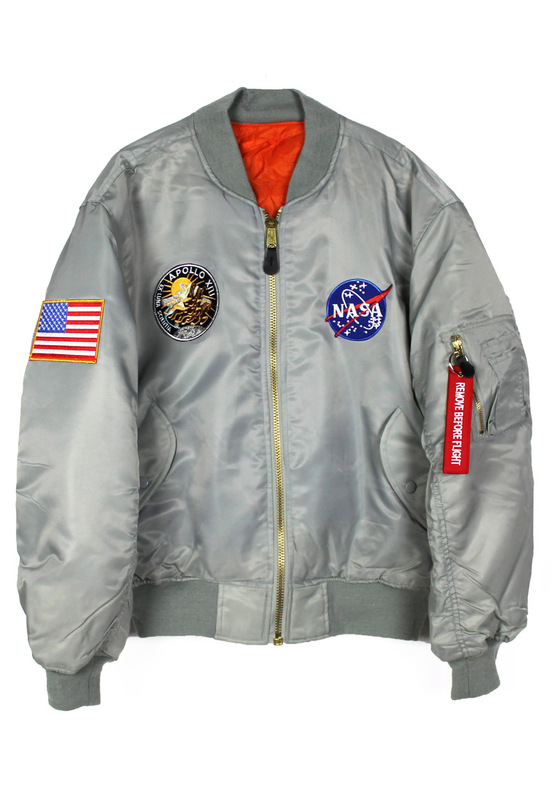 Apollo 11 NASA MA-1 Bomber Jacket in silver. High quality nylon flight jacket closely modeled on the alpha industries classic. Patches on chest, sleeve and keychain on arm pocket.